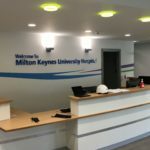 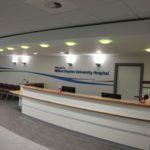 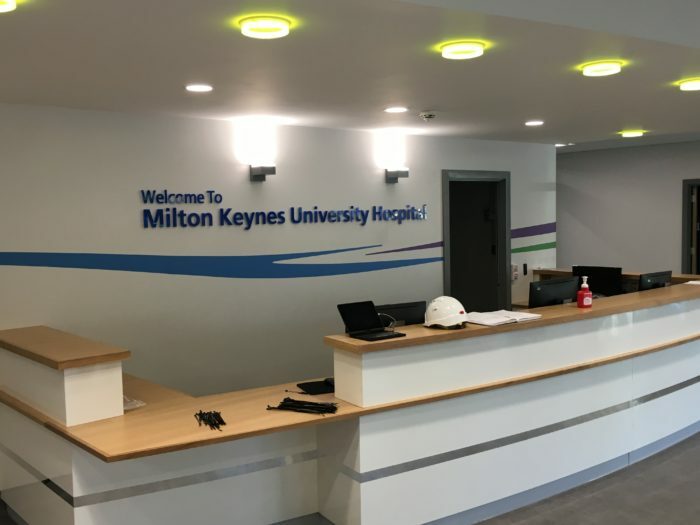 CPF undertook a comprehensive construction and fit out package for the interior of the Milton Keynes University Hospital. 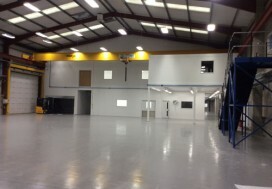 The extension was supplied in pre-built modular sections, delivered then connected on site. 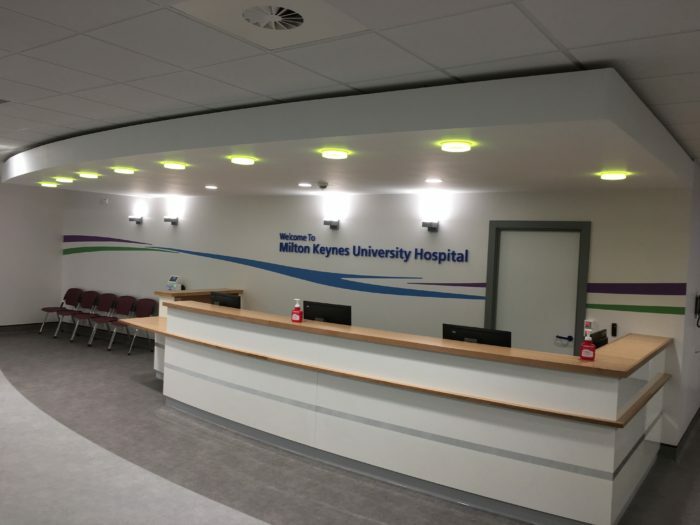 CPF supplied and fitted metal stud partitioning with additional sound proofing to meeting / private rooms as well as fire safe partitions where required. 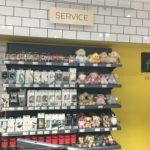 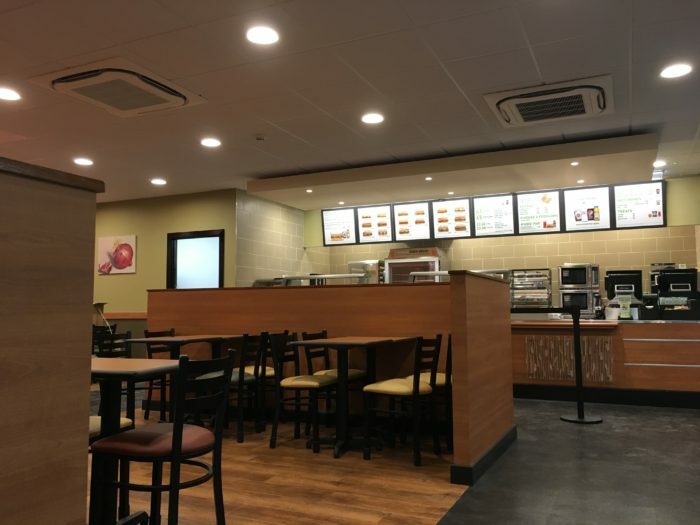 The end users of the areas were Costa Coffee, Subway, The NHS Trust and Costcutter’s Simply Fresh. 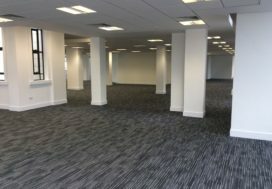 Each user had their own specification on flooring, joinery and decoration. 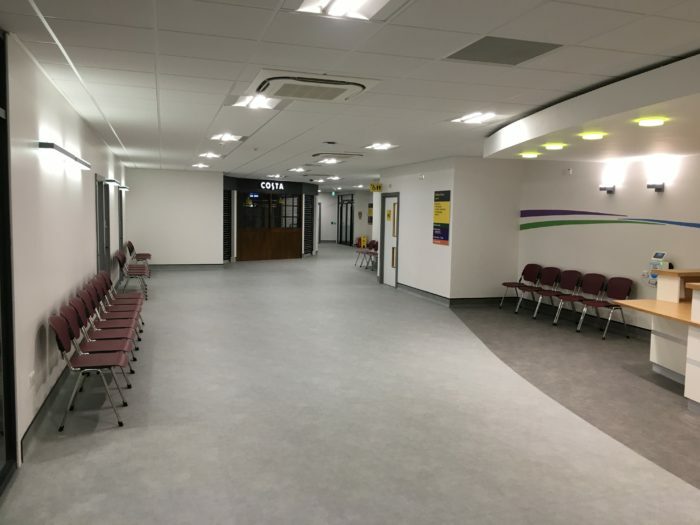 CPF also supplied and fitted out the toilet areas including DDA compliant toilets where required. 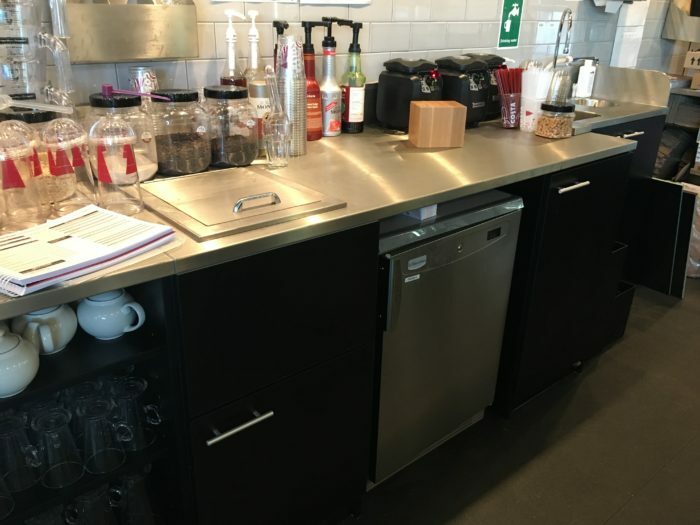 The toilet areas were clad in laminated MRMDF panels to match in with the sink units and the cubicle finishes. 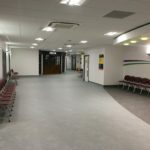 The flooring to each area was varied and involved many different suppliers including Polyflor, Moduleo, Amtico and Karndean. 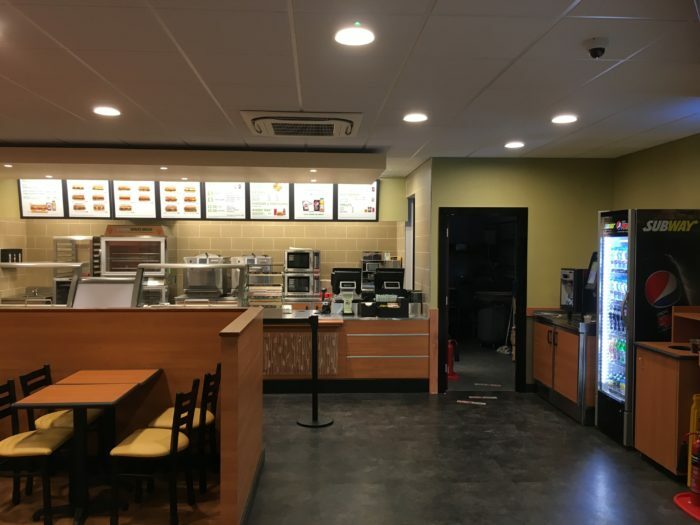 This was the same with decoration works, each end user had their own design manual which needed following including specific paint colours and feature tiling. 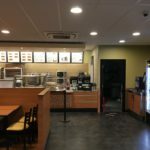 This required CPF to be organised and efficient when ordering materials for the various areas to ensure there was no confusion or delays in the project. 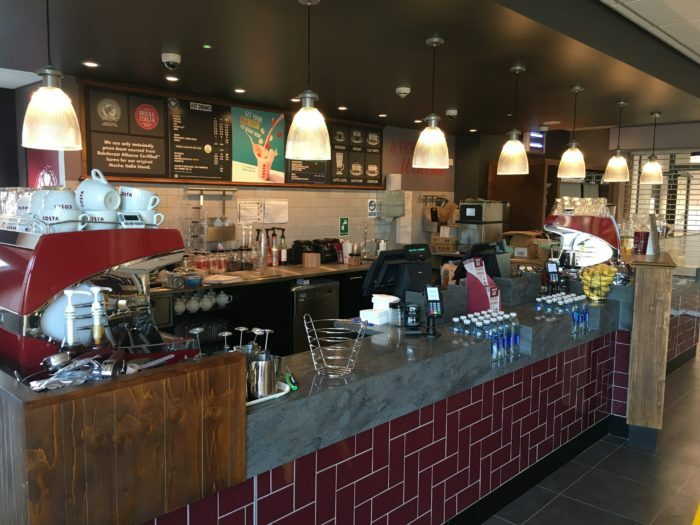 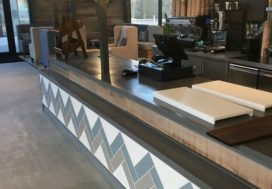 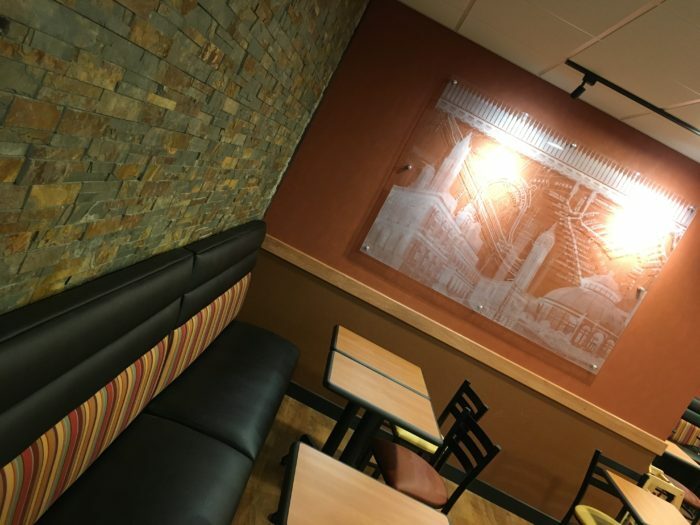 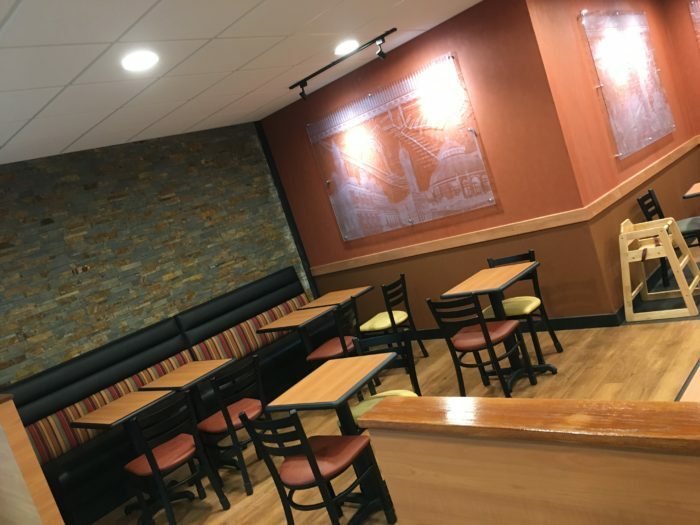 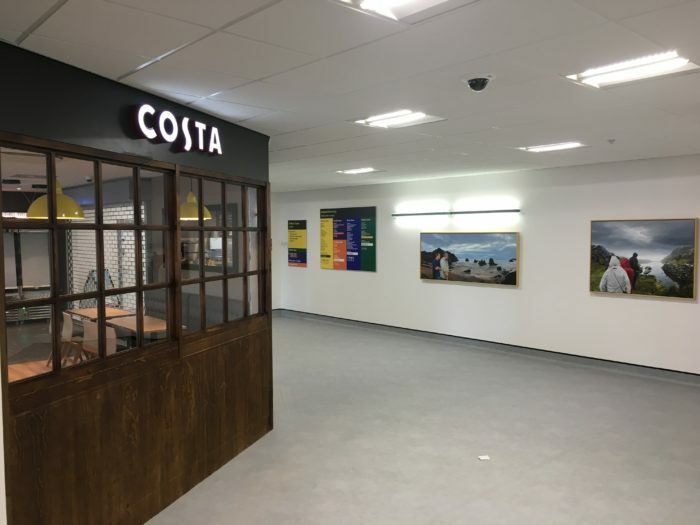 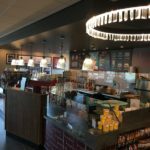 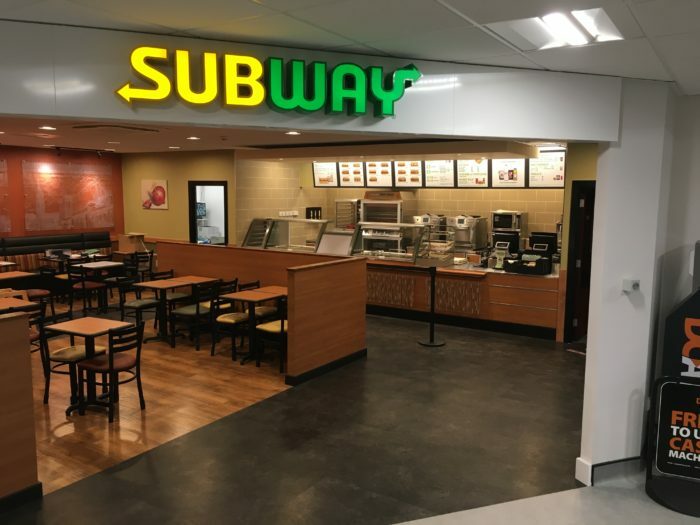 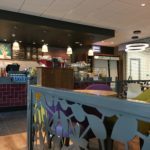 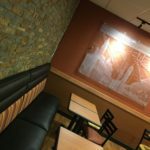 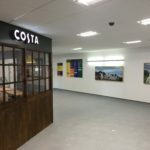 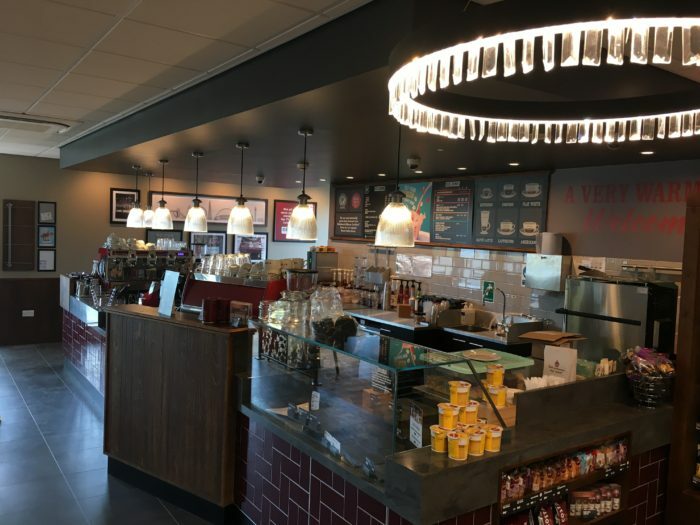 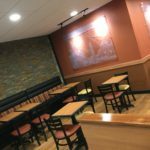 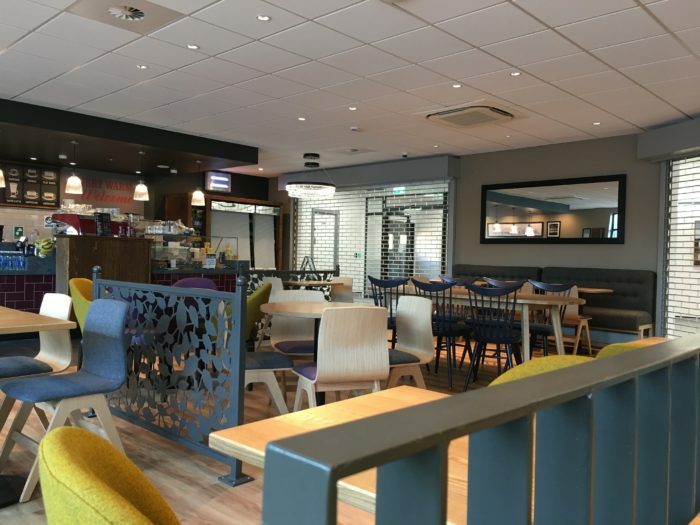 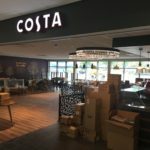 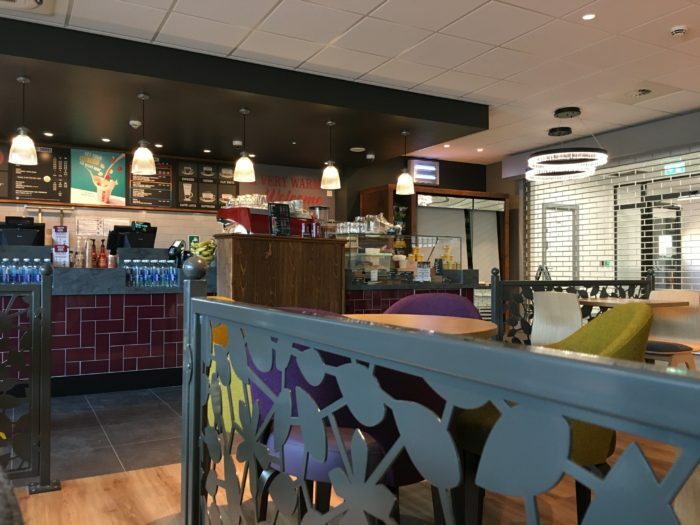 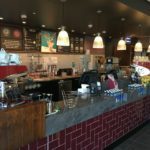 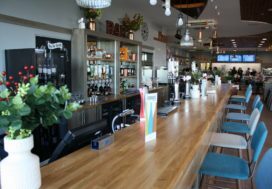 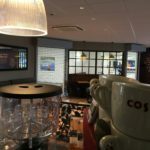 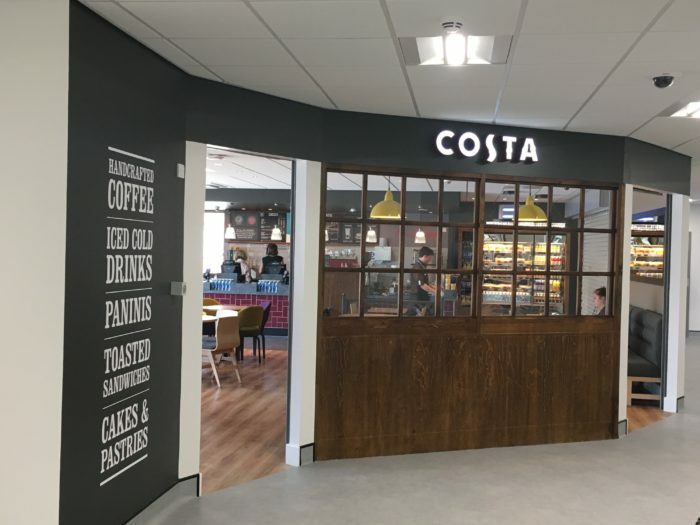 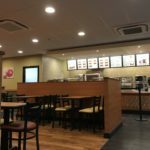 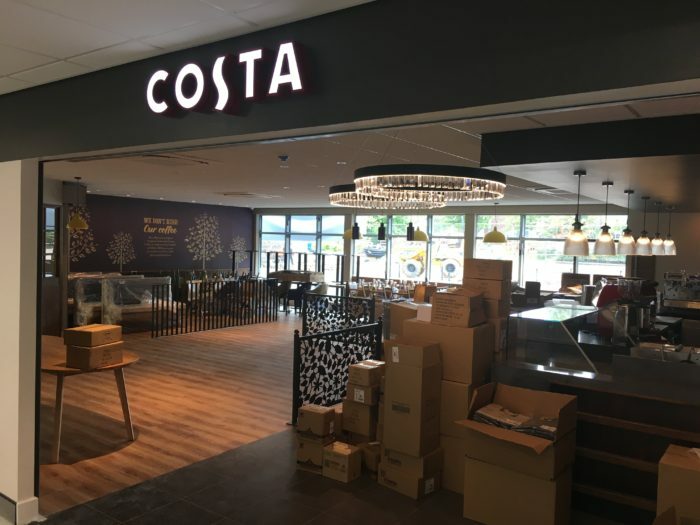 A brief scope of the manufactured joinery items includes; Costa Coffee counter, dwarf walls, feature wall panelling, feature bulkheads, glazed screens with timber frame, reception counter, small till counter and signage panelling. 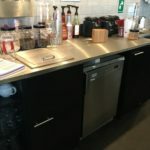 Some of these can be seen in the images below. 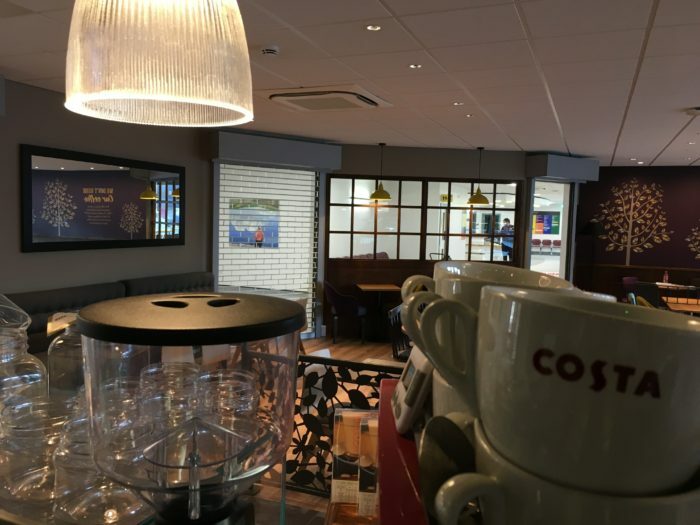 CPF also supplied and fitted the roller shutters that can be seen in the images below. 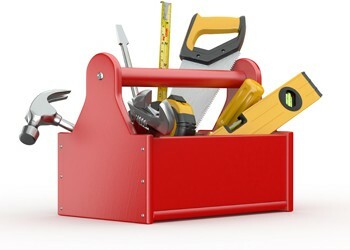 This is something CPF often supply as part of the full fit out package we can offer. 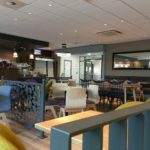 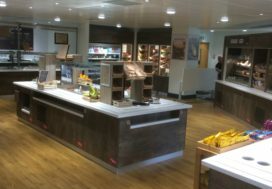 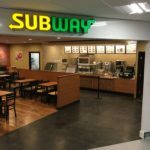 The combination of all the areas completes a comprehensive, high specification and high quality internal fit out and food service facilities. 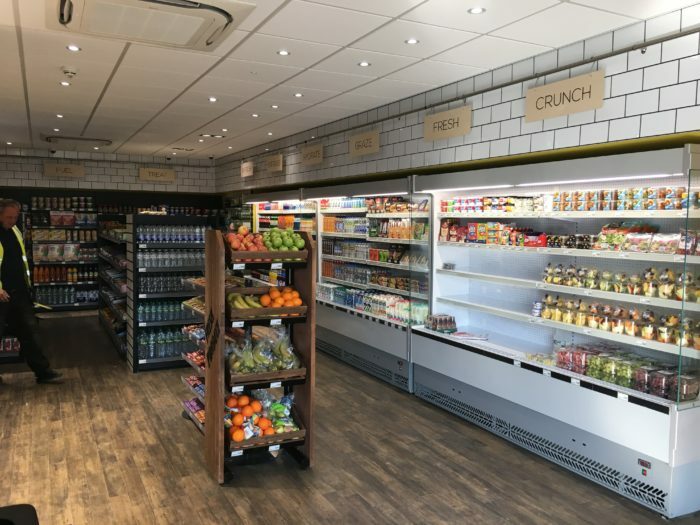 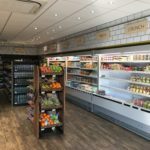 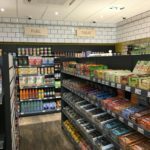 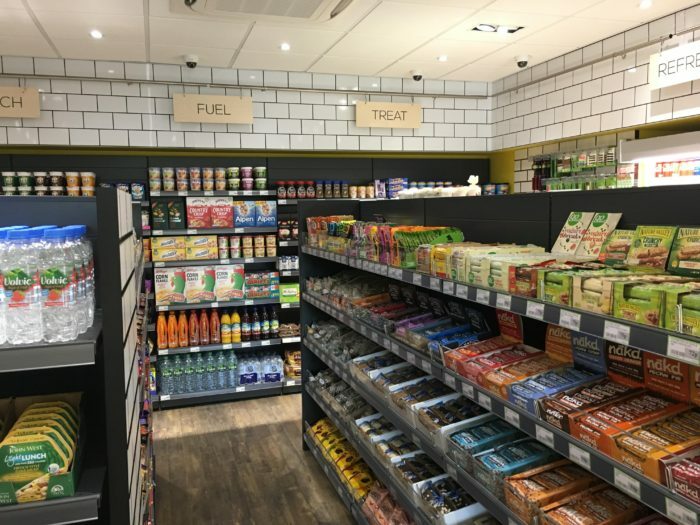 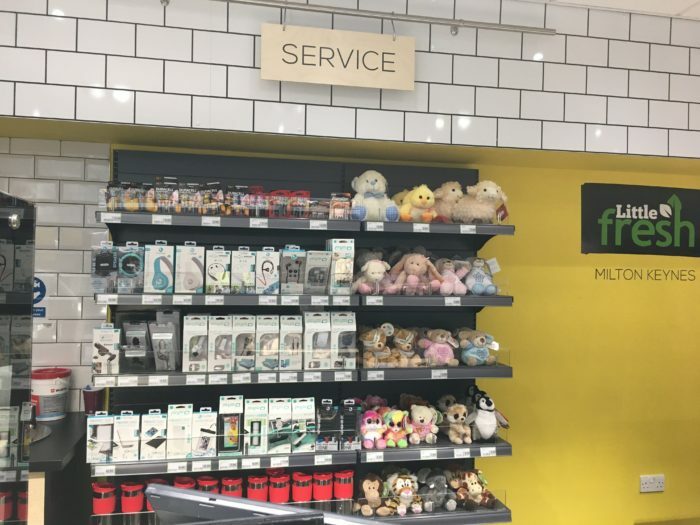 With the facilities being expertly combined with various items of cold food displays, impulse retail bays and back of house preparation equipment, the facility is complete. 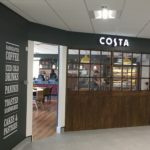 A facility which our clients are very pleased with and which CPF are proud to have helped them realise.